Gentlemen, you have a Face! Pores for a minute It’s time to get a facial! 5 tips on why guys should get a facial! It’s time to get your husband, boyfriend and Man on the facial bandwagon! We have put together a few tips to get your better half in facial mode this August! The skin is the largest organ of the body so it should be well looked after! Compared to women, men have rougher skin and larger pores, which means imperfections are more visible and have a higher exposure rate with regards to environmental damage that’s why monthly visits to a Sorbet or Sorbet Man store will ensure his skin is kept in tip top shape! Just like going to the gym to exercise the muscles in the body, having a facial massage done during a facial is like exercise for your facial muscles! It increases blood circulation, removes toxins, gives your skin a healthy glow and slows down sagging of the muscles. Facials can help reduce pore size. -Men produce more oil on their skins due to a higher level of testosterone present in their skins. This means that without proper home care and professional skincare treatments, pores become clogged by excessive oil, dirt and dust, which leads to blackheads and breakouts. Regular facials improve the whole shaving experience. Continuous shaving with a razor, especially when blunt, across a sensitive skin causes irritation, razor burn and inflammation particularly over breakouts. Professional treatments deep cleanse bumps and soothes irritated skin. The combination of exfoliation, essential oils, masks and moisturizers will address shaving side effects. Facials are relaxing, which decreases stress, boosts confidence and over all self-esteem. Facials are great for sinuses and nasal passages! During a facial the nasal passages are drained by massaging and dragging finger tips and hands over the blocked areas. What guys can expect during a facial? SKIN ANALYSIS: A magnification lamp is used to assess the skin i.e. your skin type, skin condition and any specific concerns such as dehydration, breakouts, pigmentation and deep lines. CLEANSE: Specifically to your skin type. EXFOLIATE: Products are used to remove dead skin cells from the top layer of your skin, revealing new, bright cells which give off a youthful and glowing appearance. STEAM: Opens up and detoxifies pores. EXTRACTIONS: Removal of blackheads, white heads, breakouts and clears blockages in pores. 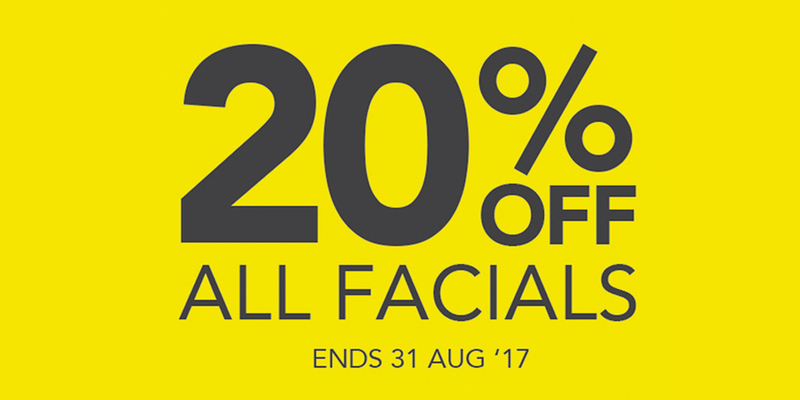 FACIAL MASSAGE: Relaxes muscles and removes excess fluid under skin. TONE: Balances pH and improves texture of skin. MOISTURISE AND SUN PROTECTION: Protects skin from environmental damage and moisture loss.